Matsuli Music has added the debut album of this Cape Town ‘supergroup’ to their growing catalogue of South African Afro-jazz reissues. New liner notes from acclaimed jazz historian Gwen Ansel explains how this album successfully fused multiple styles in 1976 forging a new sound from what was ‘Cape Town Jazz’, Latin, R&B, soul, pop and fusion. 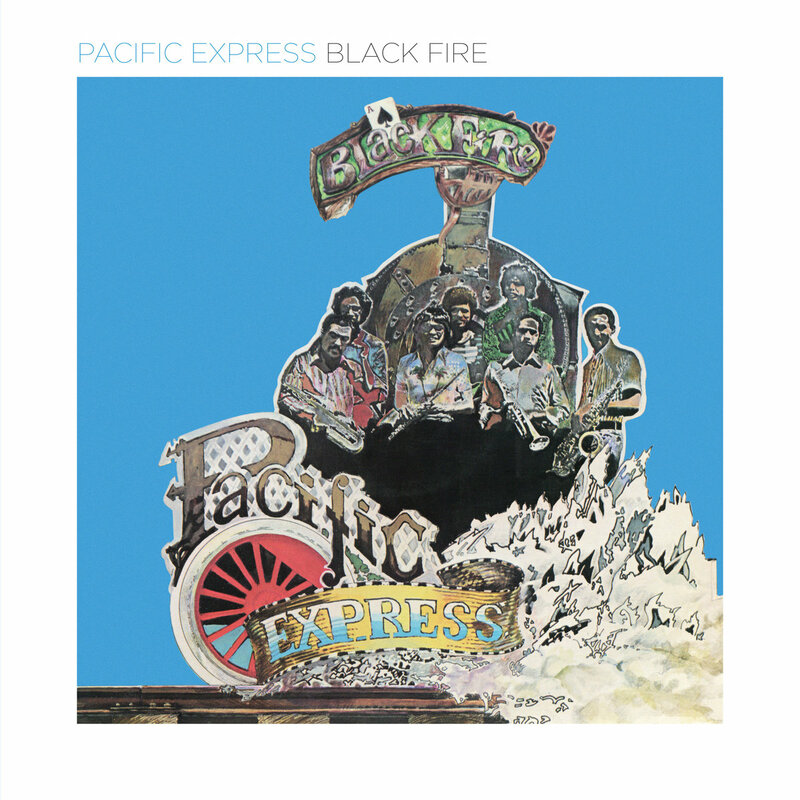 Black Fire presents the core repertoire that made Pacific Express the resident band sensation they became at the Sherwood Lounge in Manenberg, Cape Town in the mid-seventies. The ‘coloured’ township of Manenberg – about 20km away from Cape Town’s city centre, and cut off from the black settlements of Gugulethu and Nyanga by a railway track – had been officially established in 1966. The apartheid regime had defined different “racial groups” and forcibly moved people from various suburbs and allocated them to ‘white’ people. The Sherwood Lounge was located close to the highway and people flocked to the venue for music. World Treasures Music will present a Matsuli label feature on Thursday, July 20th, at 2pm (GMT), on Kmah Radio (click to listen).